Home Blog Why do Japanese have trouble learning English? As globalization continues to be more real, there is a need for one to learn an extra international language such as English. English is a compulsory subject learned in junior high school as well as high school in Japan though. However, the Japanese still have a challenge of grasping it and using it in their daily conversations. The reason why Japanese learn English is that it is the official language in over 53 countries. Another reason why Japanese learn English is to improve their confidence, and much more. In a recent EF English Proficiency Index report, currently, the level of English in Japan is ranked number 35 out of 72 countries. The leading countries with perfect English levels include the Netherlands, Denmark and also Sweden at number 3. All these nations are northern European countries. When we move over to the Asian countries, Singapore comes sixth, Malaysia is number 12, the Philippines comes 13th, India takes the 22nd position than South Korea at number 29. Japan comes in between Russia and Uruguay. Now the question that begs is that despite the fact that Japanese learn English for not less than 6 years in school, what could be the reason behind them not attaining a sufficient proficiency? While this is not a new question as it has also been asked for many years, many of the answers are only thought to be standard answers. The first answer is thought to be the way the English language is taught in many Japanese schools. Currently there seems to be too much emphasis on grammar in the classroom, however, there is limited time allocated for the actual conversational practice. It is thought that great emphasis is in the silent skills of writing and reading the English language. Listening is thought to be a rather passive art when compared to it being an active form of a conversation. Schools in Japan focus more on accuracy in reading and writing English as well as the avoiding of grammatical mistakes. You will find learners spending most of their time copying what their teacher has written on the blackboard and also memorizing it in readiness for exams. Therefore students describe the English lessons as being boring. On the other hand, the teachers, whom most of them have been, taught in the same manner that they are now teaching, cannot communicate in English adequately. A study found out that most English teachers actually 70% of them, teaching in junior high school have a TOEIC score of below 730. The Japanese culture or character is also thought to be another cause of them having poor development of English even when Japanese learn English. Their culture dictates that Japanese are often not eager to speak up in front of others, in case they cause a disturbance. Also, Japanese are so afraid of making mistakes when they talk in English and they only feel they should speak perfect English. For this reason, they opt to stay silent. Another reason why Japanese have trouble learning English is that they live on an isolated island and so there are not as many immigrants. Therefore there is no need for them to learn English in the first place as they can comfortably communicate in Japanese. When the Japanese learn English it is in preparation to travel out of Japan. There seems to be some truth in all the above reasons why Japanese have trouble learning and communicating in English. Nonetheless, are these the only reasons? There must be other factors that need to be considered as well. Let us turn our focus to the data about the learning difficulty for the native speakers as put together by the Foreign Service Institute in the US. This data shows the number of hours on average that English –speaking Department official who is considered well educated and highly qualified person requires to achieve the daily conversational level in any language. The results were different across four different groups of languages as we can see below. 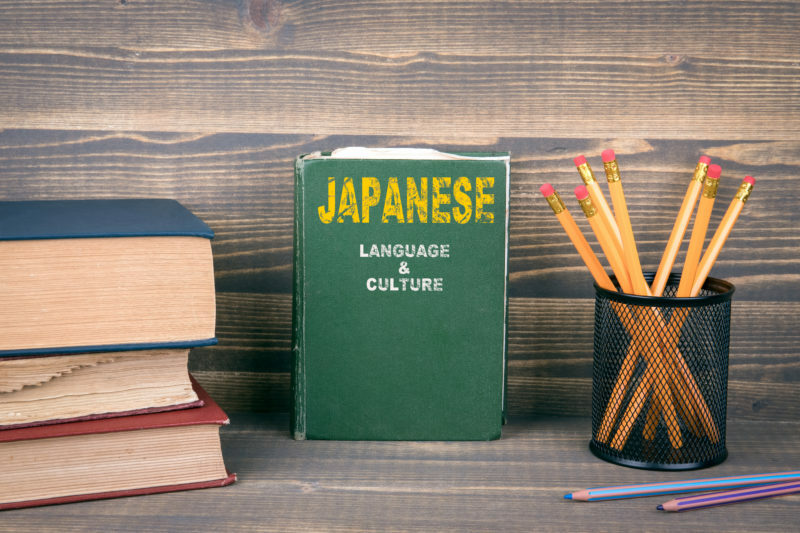 From all the 62 languages that were examined, it could be seen that Japanese was the most challenging language to learn. Japanese teachers at English Tutor Network that possess a TOEIC score of more than 900 attest that they spent from 4000 to 5000 hours studying English in order to attain the level they are in. The same kind of result was only found in a study by Dr. Donald Arthur Norman of the University of California, San Diego on the number of hours that a native English speaker needs to fully learn a second language. One may ask how many hours Japanese students spend learning English in junior high and high school? Usually, when Japanese learn English in junior high school, they have four, 50 minutes of English lessons each week for 35 weeks a year in junior high school. If you do the math, you will realize that they add up to350 hours yearly. On the other hand in high school, students have five English lessons per week, of 50 minutes. When multiplied by 35 weeks of a year, it adds up to 437 hours each year of studying English. The grand total therefore becomes 787 hours which is still insufficient to grasp the English language. Actually, this is even less than a quarter of what a fluent tutor at ETN says the spent. According to the FSI research, 720 hours that a native English speaker spends learning Japanese, they can manage to achieve a basic survival level. The government has now decided that from the beginning of 2020 every high school graduate must attain an English level which is equivalent to B1 of the Common European Framework of CEFR, Reference for Language. B1 Level – What is it? Anyone who attained this English level is expected to understand the main points of clear standard input on common matters that you’d encounter at work, school, leisure, and everyday life. They are supposed to deal with all situations that are likely to come up when traveling in areas where the said language is spoken. Also, they are expected to produce simple connected texts on various common topics or those of personal interest. They are expected to describe experiences, events, hopes, dreams, and ambitions, and lastly, when Japanese learn English, they are expected to know how to give reasons as well as explanations for opinions or plans. For a student to achieve the said level, they must be exposed to the language for not less than 2500 hours. In Japan, the average number of students in one class is 40 with only one teacher. Beginning 2020, English language will start to be taught from the third grade, however, from elementary level to high school students will still be exposed to English for less than 1000 hours. The outcome is clear. Students who will have achieved the B1 level are a few lucky ones who will have had more exposure to English as well as experience in English speaking environment. This also means the socio-economic difference will be apparent in educational differences and also life opportunities in the globalized world.